A message from the Sheikh of Dubai; why can't all rulers be like this? 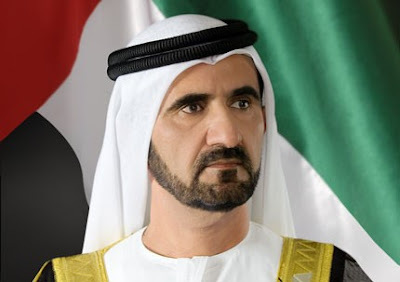 HH Sheikh Mohammed bin Rashid Al Maktoum became UAE Vice President and Prime Minister in 2006. His leadership vision has put UAE citizens’ empowerment, welfare and happiness at the core of all reforms and initiatives implemented since his accession. Sheikh Mohammed has been the driving force behind the transformation of modern Dubai into a major global city and the establishment of the UAE on the world stage. Today Dubai stands as a major centre for international trade as well as tourism and is home to over two million people representing over 220 nationalities. As a passionate proponent of open, service-led governance and strategic planning, HH Sheikh Mohammed has led major reforms to make government more business-like. The swift, yet progressive, governmental improvements have taken place through a bundle of well-thought-out initiatives driven by innovation, creativity and the principles of transparency and accountability. HH’s vision for the UAE has been proven successful through achieving unprecedented rankings on global indexes and has lately achieved number one worldwide for government efficiency, according to IMD data. “The UAE is not just a financial and economic nucleus, neither is it just a tourism hub: we are also a nerve centre of a global humanitarian work.” These words of Sheikh Mohamed physically manifest in the many charity and humanitarian foundations established by HH, which are major local and international players providing assistance and opportunities to the less fortunate around the globe. While investing in the human capital has always been the utmost priority for HH, women’s contributions in professional and social contexts have always been highly acclaimed by HH. “we have already moved beyond the phase of empowering women. Indeed, we are empowering society itself through its women,” he said highlighting the importance of UAE women workforce. Let's hope that the democratically elected Government's of the West learn from this by focusing their vision on happiness rather than merely GDP!